We have two classes of PreK4, each with only up to 12 children and one lead teacher. Our assistant teachers also help in both groups during various times of the day. 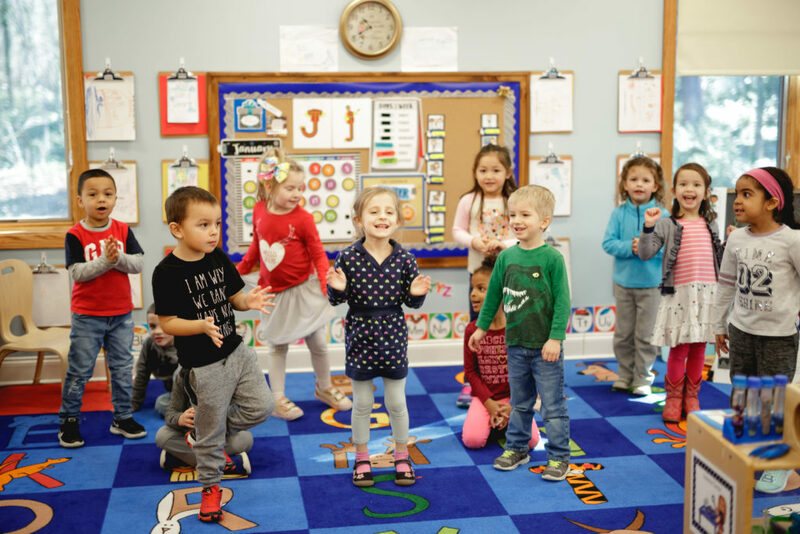 The PreK4 classes continue to build upon the skills and aptitude for learning children developed in the previous classrooms, and prepare children effectively for Kindergarten and life-long learning and success. The day in the PreK4 classroom is structured, and mirrors a kindergarten type of schedule more and more as the year progresses. 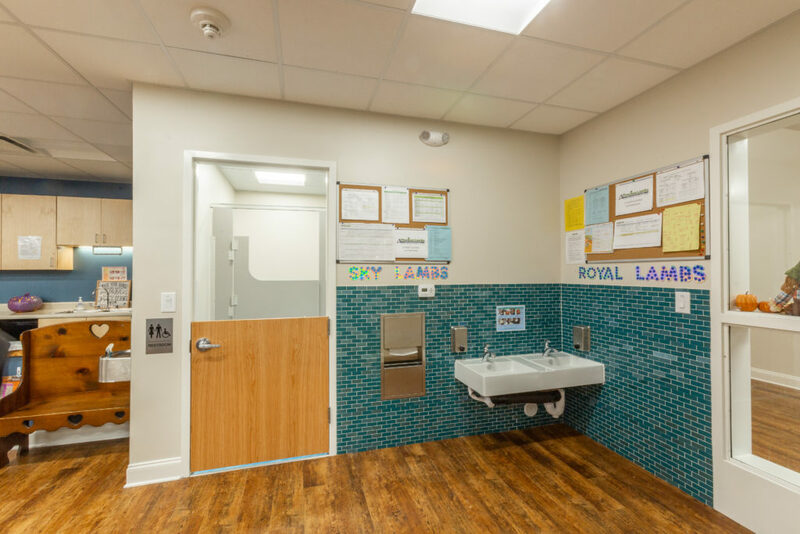 Their day includes times for indoor and outdoor free choice, group meeting/”circle time,” center time, and small group times for more intensive time working on pre-reading/reading, writing, math, science and other projects. 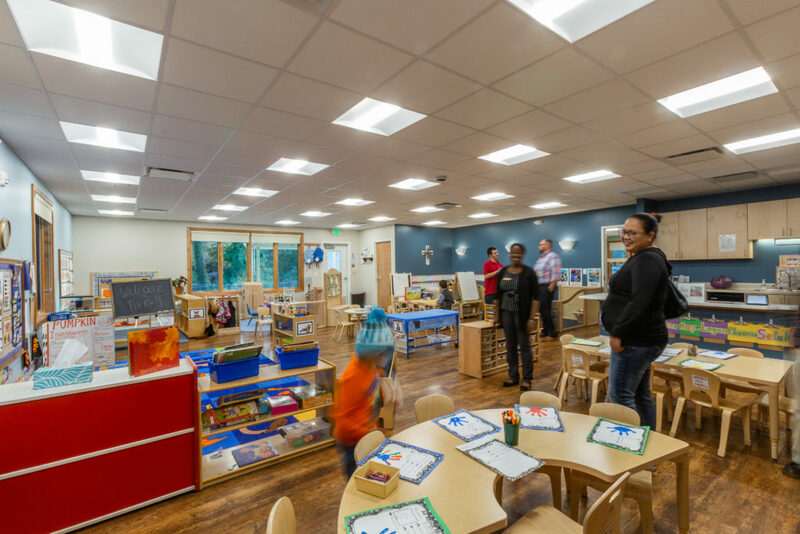 Pre-reading/reading, writing, math, science, social studies, art, music, and social & emotional skill building are all built into every study and center in the classroom as well. The PreK4 classes also join in afternoon “specials” such as Sign Language, Spanish, Music, Weekly Readers, STEAM (Science, Technology, Engineering, Art and Math), sports opportunities, and Chapel. 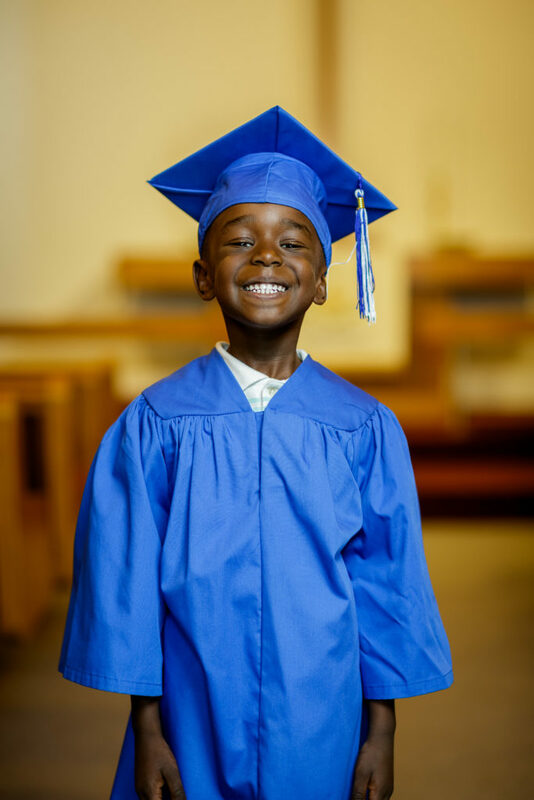 Each spring, we have a graduation ceremony for the children who are moving on to kindergarten that summer/fall. It is a wonderful celebration of learning and of the students’ spiritual, academic, physical, social and emotional growth and accomplishments! The children in these classes are 3.5-4 years old, and/or are able to to meet certain goals to be and feel successful in the classroom. 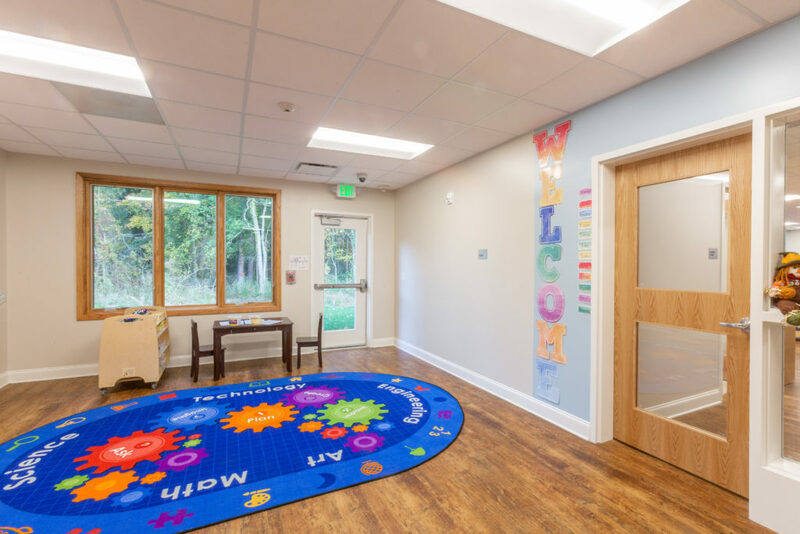 Some of the things we look for to determine if a child is ready for the PreK4 classroom is that he/she shows age-appropriate attentiveness and focus, effort and persistence, flexibility, and respect for themselves, peers, adults, and our classroom. 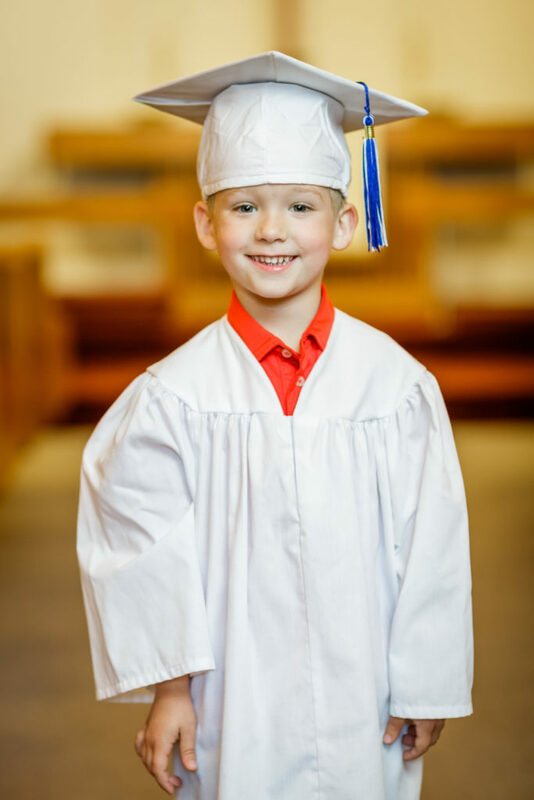 These are also some of the foundation skills that we help the children to develop to a more advanced level to be prepared for kindergarten and for LIFE! 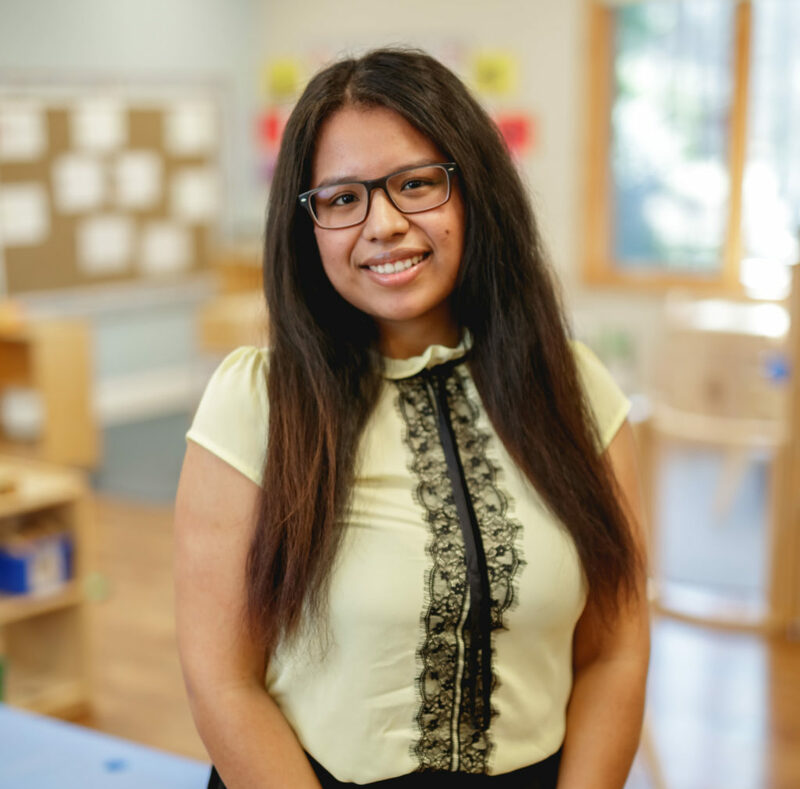 Leslie is one of the Lead PreK4 teachers. She has completed her B.S. Ed. as well as the NC Early Childhood credential. 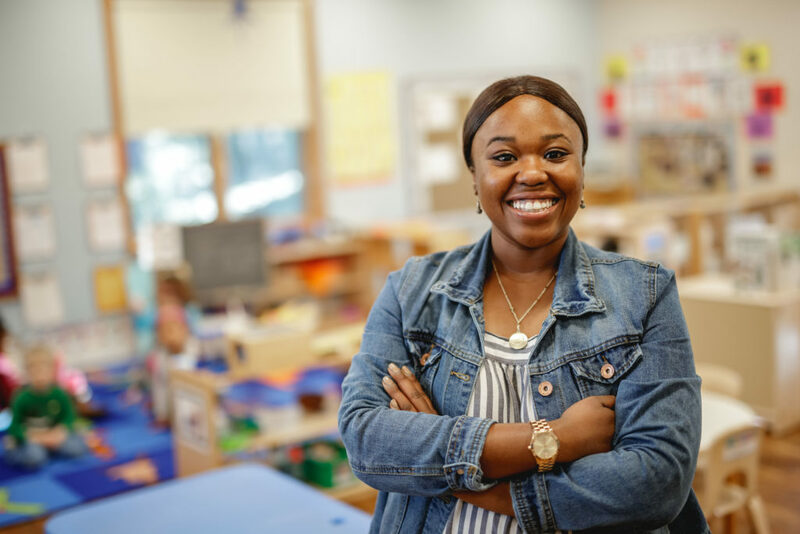 She has been a part of our team since 2017, and loves to create exciting lessons that lead lots of student growth and learning! Cindy is one of the Lead PreK4 teachers. She has a B.S. Ed. and over 20 years of experience teaching young children, as well as raising her own four children. 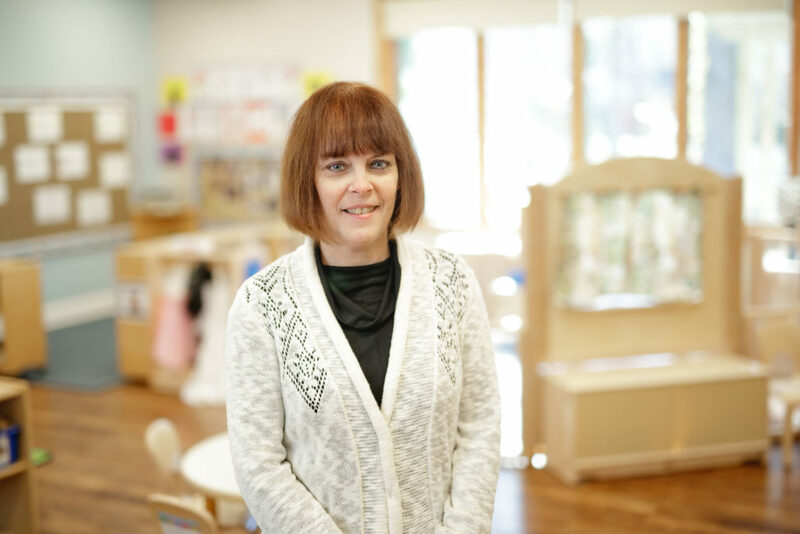 Cindy draws on all of this education and experience to help our little ones be successful in school and life beyond school! 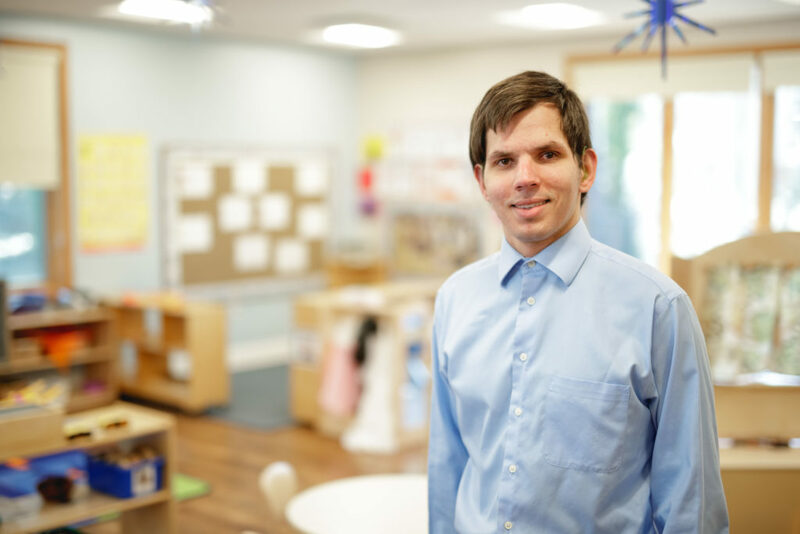 Roman, PreK Assistant Teacher, is currently studying Early Childhood Ed., and loves to help the children with their creativity and social-emotional skills. Ana is an Assistant Teacher who is talented working with all ages! She works with the PreK4 class each afternoon and helps to teach responsibility and kindness. Our PreK4 class loves the Letterland curriculum and is really developing their phonics and reading skills! 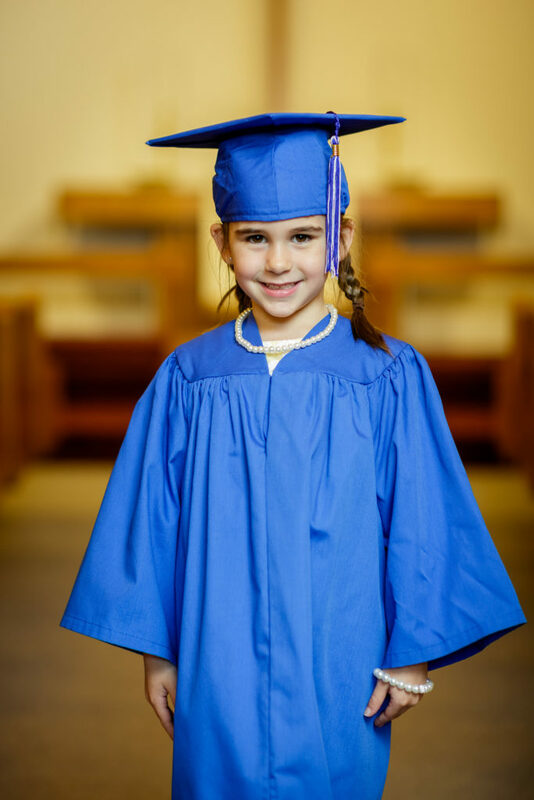 Graduation is a special way to culminate and commemorate the children’s years in Preschool. Each class has a day to use the STEAM studio and strengthen their Science, Technology, Engineering, Art and Math skills. 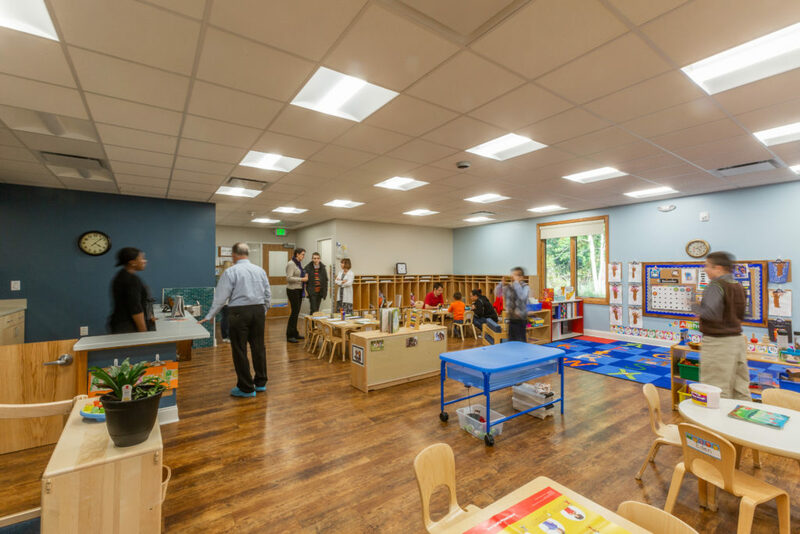 Our classroom was designed by our teachers to support learning. 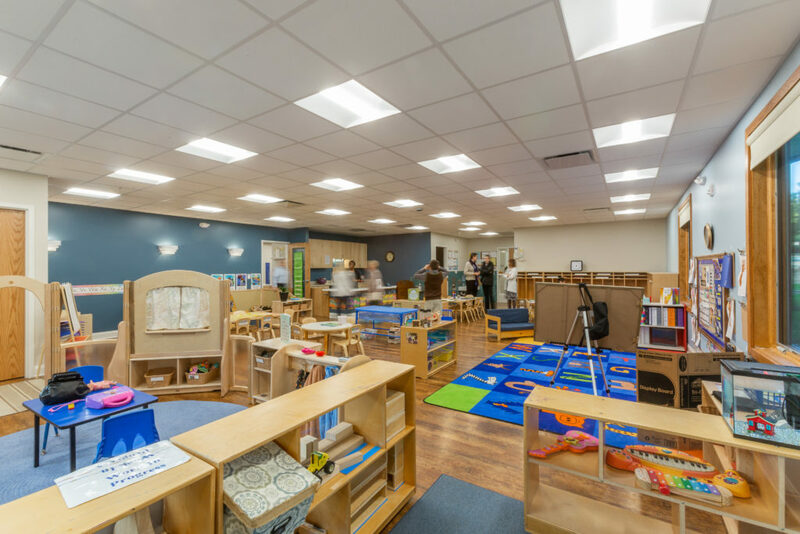 We have many stimulating learning centers for eager minds. Parents are always invited in to see what we’ve been learning, and to be a part of it! 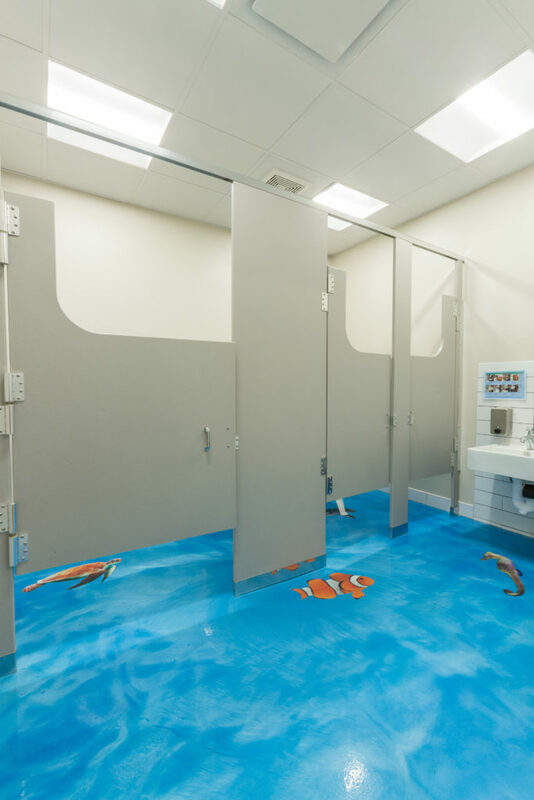 We love having child sized bathrooms and handwashing in the classroom!